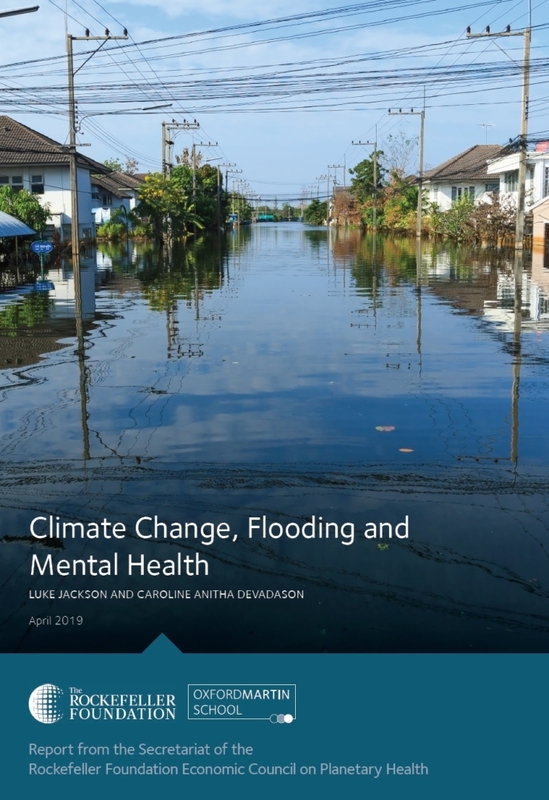 This report explores the linkages between climate change, flooding and mental health, showing a decrease in carbon emissions can help slow the current rate of sea-level rise, thus allowing for a greater range of adaptation options to be implemented. This includes coastal protection to reduce vulnerability, which limits the potential for mental health impacts, while capital investment to increase mental healthcare quality and capacity will allow states to protect themselves against catastrophic floods. 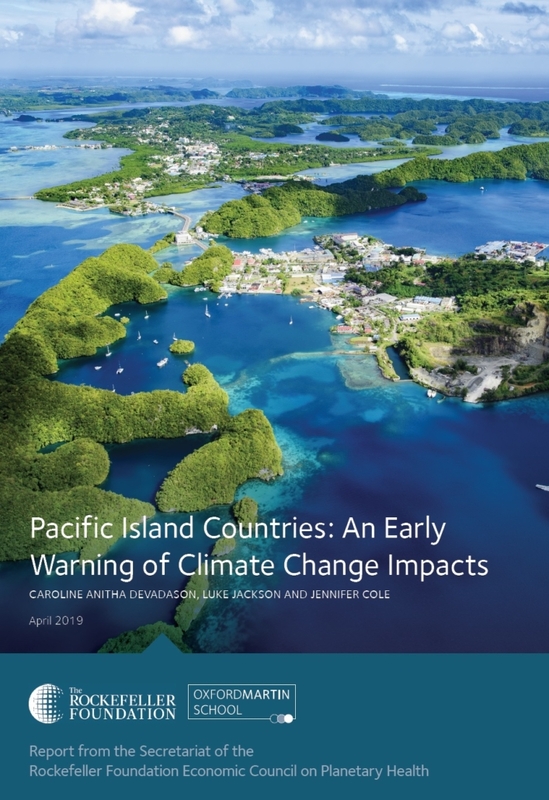 The impact of climate change on the livelihoods and health of populations in the Pacific offers a case study and an early warning of likely threats to the global economy and planetary well-being. Using Pacific Island Countries as an illustration, this paper offers insight into what may be foreshadowed for other coastal nations if climate change is not immediately addressed. 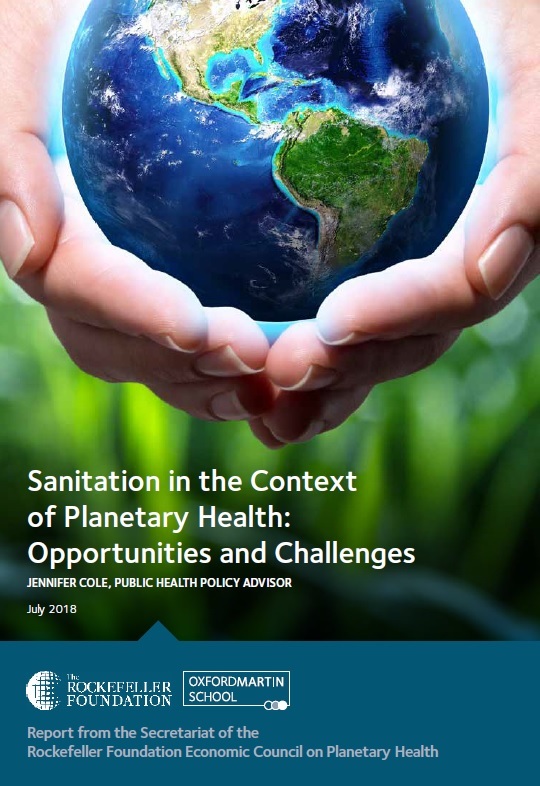 This paper reviews the relationship between sanitation, one of the key public health challenges, and planetary health, and offers solutions to achieve targets set for water and sanitation as part of the United Nations Sustainable Development Goals. There is strong evidence that global environmental change harms human health, though the human health effects only represent a small fraction of the total effects on human well-being. 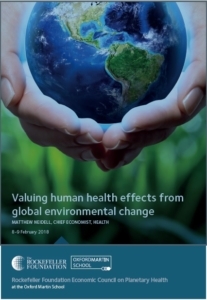 This background paper describes the approach for valuing human health effects from global environmental change andto improve comparisons of the benefits from environmental improvements with its costs. Failure to prevent ongoing climate change, deforestation and degradation of natural ecosystems will lead to a continued regularity of infectious disease outbreaks in humans. This background paper outlines four modes of infectious disease transmission and emphasizes several types of environmental change which continue to fuel global disease emergence. This background paper gives an overview of the measures available to governments and businesses to understand the health and environmental consequences of alternative decisions and investments. This approach to understanding decisions from both a business and a wider social well-being perspective is commonly referred to as the natural capital approach. This background paper provides a brief overview of economic perspectives on the root causes of environmental problems and common policy tools used to address them. It also provides a number of case studies to illustrate how these policies are applied in practice and their impacts on human health. This background paper provides an overview of the relationship between global environmental change and human health – the health of current and future generations. 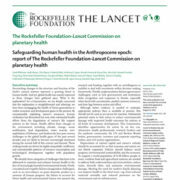 It cautions against the continued damage to the natural resource base on which good health depends.